Some sets I only buy because of certain pieces. Like this one. It contains two so-called “Vermillion Warriors” (hence the name of the set) and some really cool pieces of armour. The rest? Never mind really. I didn’t even bother to keep this set assembled for taking photos. The two Vermillion Warrior Minifigures are really nice and a perfect addition to my army of Nexo-Knights Lava Creatures, but the actual build is quite forgettable: A large hollow tree stump, somewhere in a swamp, with a large gunmetal grey-coloured egg growing out of it. And for some reason it is filled with snakes. Did the whole hollow-tree-stump-concept work fine in the Jungle Starter Set, here it falls flat. Not that its unsightly. For itself it is actually not badly designed, but in the context of being the only build in a set, even in the low-price range, it falls pretty flat. At least you get a lot of snakes, a quite nicely moulded egg, a Kay Minifigure with a manga-style hairpiece (and some quite detailed print on his torso and legs) and some sort of golden and green claw-weapon piece, which the whole ambush probably is all about. 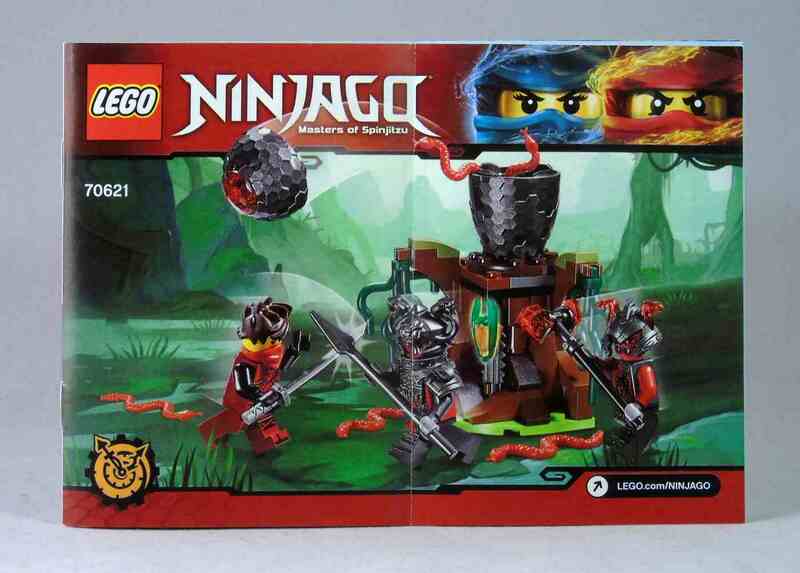 So is there any reason to get this set, apart from above mentioned armour pieces and Minifigures? No, not really. It seems all the effort went into those and the rest is just filling material. The egg looks really good though with its hexagonal pattern and surely can find its way to good use. Anyway, if you are, like me, on the hunt for some red-skinned army material and some really impressive armour pieces, then this set is for you. If you are looking for an actual proper set, better look somewhere else. Since I integrated the Vermillion Warriors already into my Lava-army, I will post some pictures of it in one of my next posts, instead of boring myself (and probably you as well) with pictures of this set. Cool armor and helmet designs. Red-skinned Minifigures: if you want to expand the army of Nexo Knights lava monsters that is. Pretty lacklustre apart from the few bits and pieces mentioned above. Previous Post Reviewing and Stuff!